The trip from your home to the top of Mount Kilimanjaro and back is exciting, diverse, and especially – one great adventure! 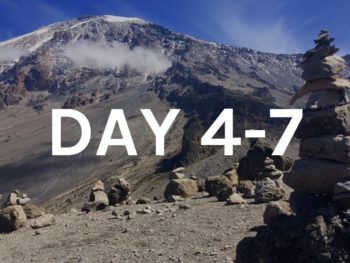 In the following six articles, we give you the best possible impression of our expedition to the top of the world’s highest free-standing mountain, the “roof of Africa” – of our departure in Germany, the first days in Tanzania, daily routines during the hike, the big summit day and back. Departure and arrival days can be full of new impressions, emotions, and some unexpected happenings. To make your trip from home to Mount Kilimanjaro in Tanzania as smooth as possible, in this blog post we give you an overview over our journey – along with some inside information regarding what to expect from your trip and what to be prepared for. We also give you some insights on our motivation for this trip, and how it all kicked off in the beginning! Arusha and Moshi are the two cities, which usually serve as starting points for safaris and hikes up Mount Kilimanjaro. 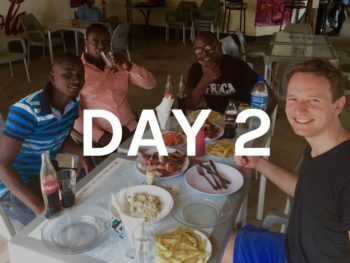 As we stayed the days before and after our trip in Arusha, in this blog post we tell you about our impressions of the city – what it looks like, where to get money from and, of course, about the culinary offer on-site. Moreover, we give you detailed insights into how we were equipped for the upcoming seven-days hike. First day of our hike! Together with our team we drove from Arusha to Machame Gate, where we started the first stage of our tour. 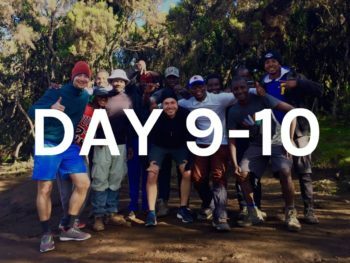 Our goal for the day was finally Machame Camp. In this blog post, we tell you who accompanies you during your trip. Moreover, we give you some insights on what to expect at the beginning of your climb up Mount Kilimanjaro. In the meantime, we had well arrived on the mountain and walked from camp to camp. This article is packed with information regarding the time during the hike. 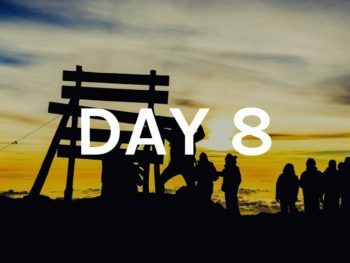 We tell you what a daily routine looks like in detail, which type of equipment you need during the day, and what to expect from the different stages up to the base camp. Besides, we write about possibilities to stay fresh on the mountain even without your daily shower. Summit day is something very special. For Timo and me, the ascent to Uhuru Peak started in the middle of the night. The sky was starry, the air was ice-cold. 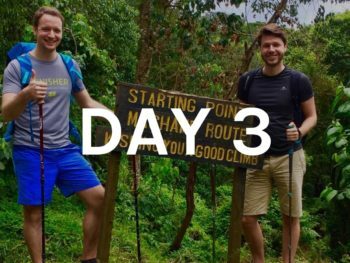 In this blog post, we tell you how we experienced the hike from Barafu base camp to the top of Mount Kilimanjaro. After 7 days, our hike ended. We walked the last stage of our tour downhill and left Kilimanjaro National Park via Mweka Gate. From there on we went back to Arusha, where we spent another one and a half days before heading back to Germany. 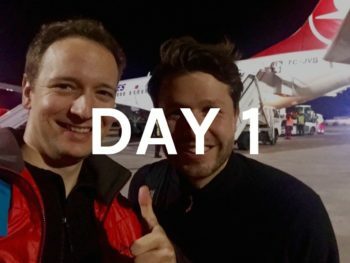 In this blog post, we give you some last insights into our trip, and how we finally have thought about it.